A big thank you to all of our customers over the past 2 years. We have just made our 100th order since officially “opening”. All customers from #91 to #99 received 10% off their orders for our special PROMO100. The 100th customer received their order FREE! The special order was for a 2 tier chocolate paradise cake with peanut butter icing. Between the 2 layers of the top tier nestled crushed Reese’s Pieces and between the 3 layers of the bottom tier were delicious peanut butter cups waiting to be enjoyed. 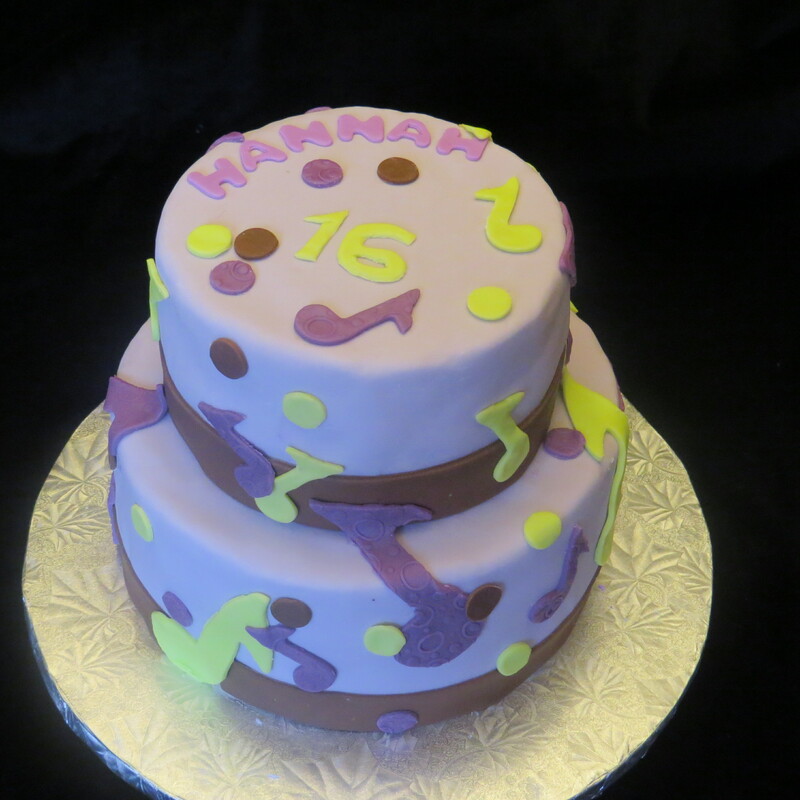 Both tiers were covered in fondant and finished with a dotty music note theme in purples, lime green and chocolate fondants. Again, thank you and we look forward to continuing to serve you to our 200th order and beyond!